Since about mid-2016, my life has been turned upside down, life changes, job changes, everything coming all at once. Now that the dust has more or less settled, it seems a good time as any to reboot this blog. A new chapter, begun mid-2017, is slowly taking shape. 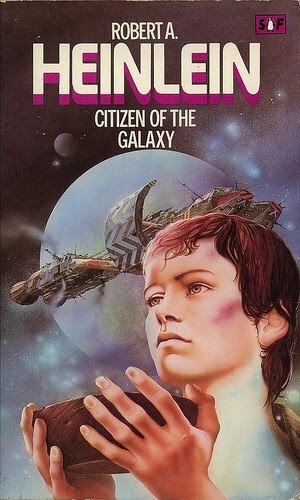 Just purchased Robert Heinlein’s Citizen of the Galaxy to read on my Kindle. Having first read this novel over 2 decades ago during my undergrad, I can still recall vividly identifying with the plight of the central character, the feeling of being lost and the drive to find meaning amidst the chaos in his universe. As a matter of fact I also just found out this was part of Heinlein’s “Juveniles” (teens) series, which is quite incredible since I seemed to resonate with the story all those years ago. This is still the only book I have read from Heinlein by the way. Will I still feel the same sense of empathy? The longing for a purpose, fear of uncertainty? I suppose I will find out shortly. Been sitting in Draft mode since 3/2/2011 so I figured I should let it loose finally! People often say that you need to know where you are from before you know where you are going to. Now, because of my Australian accent and, strangely, not-so-genuinely-Chinese looks*, I am often asked where I was from? This happens even right here in Singapore, a place I have been living and working in for close to 9 years. For a period of time while I was overseas, since my point of departure was Singapore and the fact that I have been in Singapore for more than a decade by now, it was actually natural to answer “Singapore” when asked where I came from. However, being rather pedantic about such things, I know deep down that this is not the whole truth. There is the matter of Vietnam, Taiwan and Australia. Sometimes, I do wonder a little: where is my home? There are certain allegiances that I feel compelled to follow: my cultural heritage (Chinese), place of my upbringing and whose values I uphold (Australia) or a place of convenience (Singapore)? * This is in spite of the 100% Chinese pedigree for, well, at least the past 4-5 generations!? However, after 30-odd years, I do have a plausible explanation for this conundrum. No one falls in love by choice, it is by chance. No one stays in love by chance, it is by work. And no one falls out of love by chance, it is by choice. Tough period at work and in personal life, words to help finding a way through.